Roughly chop pecans. Add sugar, water, and pecans to a pot. Allow the mixture to slowly simmer on medium heat for approx. 5 min. or until it thickens. Set aside and allow to cool. Wash, dry, and finely chop endive and arugula. Supreme clementines and reserve any excess juice. Mix clementine juice with mustard, cider vinegar, and olive oil in a small bowl. Season the dressing with salt and pepper to taste. 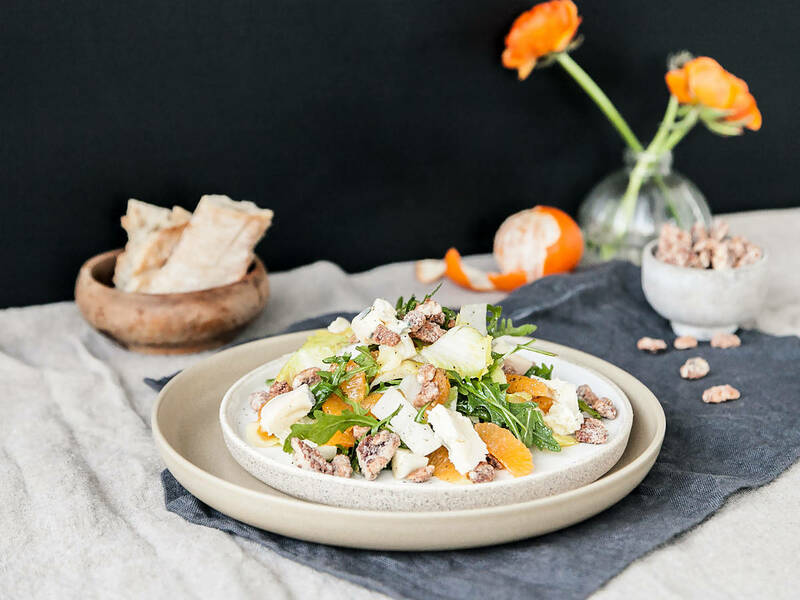 Mix clementine segments, endive, arugula, and candied pecans with the dressing in a large bowl. Serve with blue cheese. Enjoy!